Now this is a truly personalized dessert. Thanks to Etsy shop Copypastry (and soon to come standalone site copypastry.net), you can now make as many cookies as you want in your own likeness. 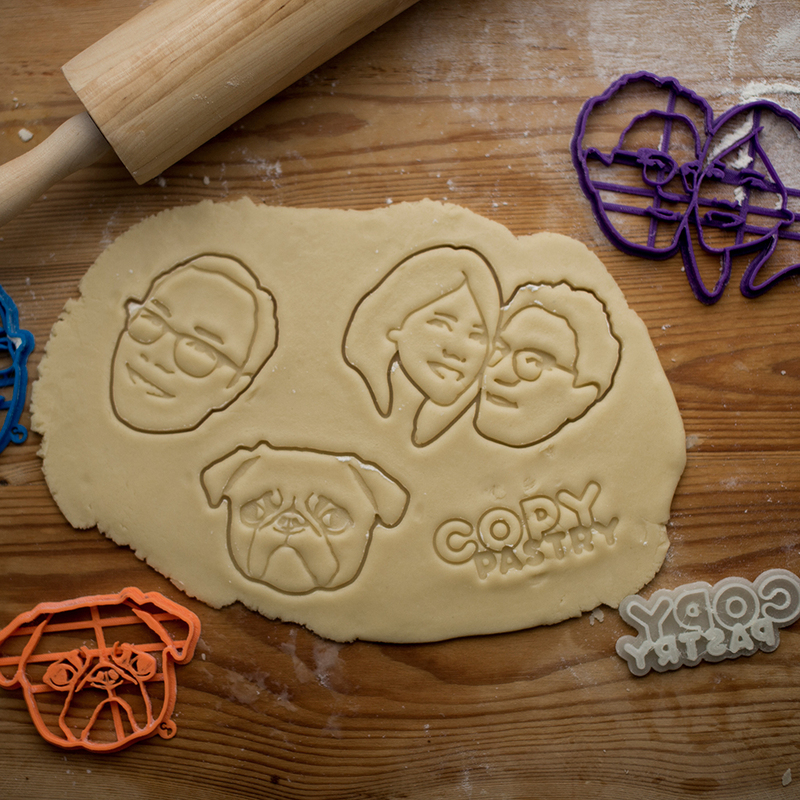 Just send a photo of yourself (or a friend, family member, pet, or really anyone) to Copypastry, and you'll get back a reusable cookie cutter in the shape of that face. As long as you don't mind the 9-10 day shipping time, these unique creations will put you above and beyond this gift-giving season. Copypastry began with Kriszti Bozzai, a product designer from Budapest, Hungary. With her team of three—herself, a logistics and marketing expert, and a sales and communication expert—Bozzai has shipped out hundreds of her cute and funny cookie cutters to many satisfied customers. If you schedule a rush order by December 13 you can still get them in time for the holidays. Check out some of Copypastry's previous creations on the shop's Instagram—highlights include the French bulldog and the cocoa Mao Zedong.